If you are looking for ideas, Our Brazilian Coffee Recipes is a place for you. We are gathering options with coffee and delicacies to accompany it. Banana shakes are great!. Cofee drinks are great. What about a Banana Coffee Smoothie recipe? Check out what this wonderful recipe we discovered! Brazilian Coffee Eggnog Creamer recipe: Simplicity is usually a key to excellence. This idea is a combination of two favorites with a twist. Some people think that they need complex recipes to achieve great gastronomic results. Well, in my experience, greatness usually comes from simple ideas, like the one below. Wheypuccino: Whey Protein in Hot Coffee recipe ! A Whey Protein in Hot Coffee recipe is not original. Mixing them coffee has been around. The innovation comes from trying to make a cappuccino-like recipe. Almond Milk Iced Coffee, Paleo Recipe: Brazilians are so connected with Nature and native culture. Check this one out for a pure delight. 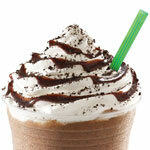 Brazilian Coffee Drink Recipes are great. Most of them have roots in America and Europe, with some Brazilian taste and twist of the tropics! Who doesn’t like cookies? 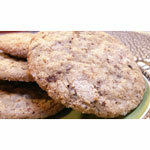 This fantastic Brazilian coffee cookie version is filled with a few of my country’s subtle culinary spices. 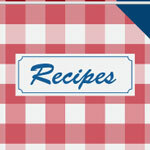 Brazilian Recipes Made for or with Coffee may just be what you need for some exquisite or exotic taste on your table. Impress you guest with this list. 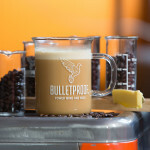 What is Bullet Proof Coffee? Bullet Proof Coffee is a blend, of coffee and dietary greases, that promises to boost up your system for performance and fat loss. Read on! If you love iced coffee drinks, this recipe is a great variation that will certainly satisfy your desire. Great for a party.